Today we shine the spotlight on Crystal Selorm Amudzi. In case you are wondering who the heck she is, well she the former 2013 Miss Ghana 2nd runner up (I say former because… yeah she resigned) and also a recent graduate of the University of Ghana. Anyway today we are not going to talk about the Miss Ghana franchise we are only going to focus on the beautiful and smart twenty-one year old. Ha! you know that is a lie you want a little inside scoop and I do too so lets get started. There are so many aspects to me as a person so I usually feel like I have been thrown into the wild when asked this question, but I will do my best. 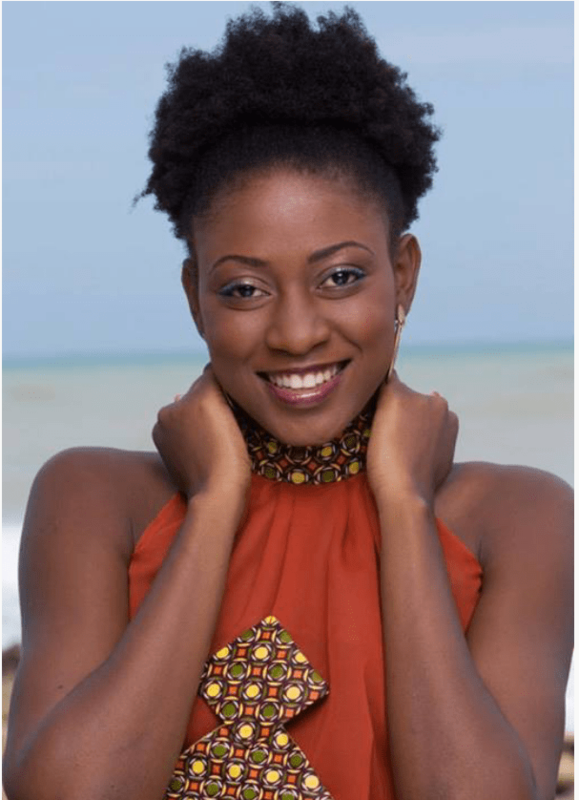 So who is Crystal Selorm Amudzi?… I am a Young contemporary African lady who just completed the University of Ghana, I studied English and Political science. I like art and creativity, creativity manifested in different ways… through music, books, paintings etc. As such I have just registered an interior design company where I plan on using my interest in creativity to its full potential. Aside that I have dreams of being a polyglot due to my love of languages thus I have started out on my Spanish journey and hope to continue with French and any other languages that catch my fancy. In the next 5 years I would have a second degree or masters under my belt. Serenti designs, that is my interior design company would be blooming and I would be able to write this interview in Spanish and French. A big amen to that. Now, what made you decide to participate in Miss Ghana. Well I usually answer this question with the fact that, I got a call from my bestie and she was like “hey think about participating in Miss Ghana”, so I considered some things and about 2 days later I said yes I would try. That is very brave of you, so what are some of the things you had to consider? 1. I have always had a love for nature and been passionate about the environment and I found out that one of the projects the Miss Ghana foundation was working on environmental protection (yea I am in with all these global warming nerds lol. So obviously I was interested in helping the Miss Ghana foundation in the quest to help the environment. 1. Cliche but true… BELIEVE IN YOURSELF HONEY! ain’t nobody gonna do that for you, you have to know your strengths and maximize on it. 2. Just do you.. Do not try to please anyone, be yourself and trust me it works. I love to show off my personality case and most of the time it pays its dividends in due time. 3. FAKE is a no! No! because people may not tell you but they can see through that facade so if you are pretending to be something you are not you end up with the shorter end of the stick. 5. PRAY, I am a spiritual person and I believe in the peace that comes about as a result of communicating with your maker. Indeed He makes all things beautiful. -Was it intimidating, did you second guess your decision? No I did not 2nd guess my decision, as I said early on it was a journey I had decided to take and anyone who knows me knows that I don’t easily back down. Was it intimidating? I would say just a teensy bit, I am a positive person and I believe that every single thing in the end works together for my good, so I was relaxed, the only intimidation was maybe meeting Inna Patty because I respected her a lot and I hoped she would have good thoughts of me. –From your perspective what amounted to such err what do I call it “mini scandal”? This “mini scandal” as you call it has soo many things involved and cannot be exhausted ever, you probably have to push for an interview with Pina to clear things up for yourself. Interesting, now is it true you had to pay a certain sum of money to guarantee you a spot in the competition? Not true, however we were asked to raise some sponsorship money that would secure you a spot in the top ten. so the two ladies who raised the most were automatically put into top ten Margaret and Michelle, I did not raise much but I secured a place for myself through Miss Photogenic and Miss discipline. It was not as if you had to raise the money to be placed, once you had other things going for you, you didn’t have to worry at all. Yes! very much so, we lived together for some time and as a result we bonded so yes we communicate a lot! We text, Pina calls me and Margaret as well. We talk about any and everything mostly besides The Miss Ghana issue. Do you have any regrets? If you had to do it all over again would do it differently or would you rather not? No regrets, people ask what benefits I got and I say I met some truly amazing ladies, a few of which I could help in my own small way, so I am glad I got to be a part of some peoples lives in order to impart upon them positively. If you had any advice or suggestions for the organizers, what would it be? Well I would zip up here, because it is soo obvious what is lacking within the organization they do not need me to be telling them what to do. 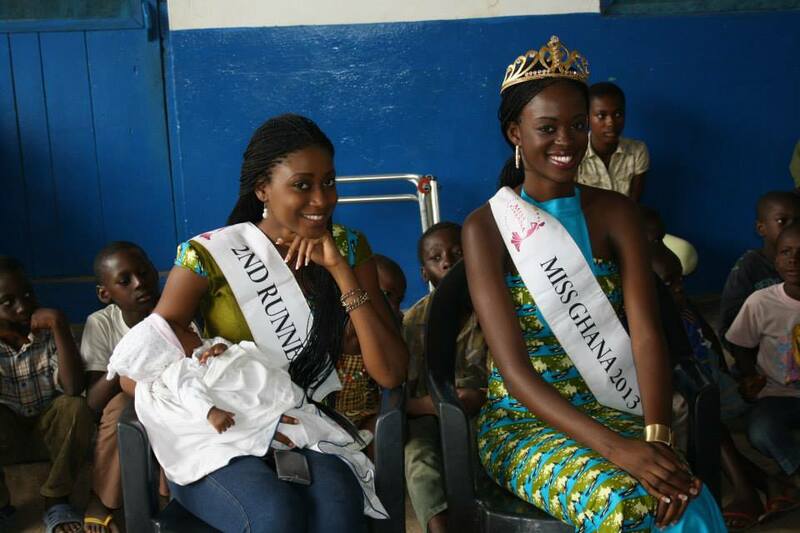 Now away from the drama, Whats next for Miss Crystal Selorm Amudzi?